Any good shoulder program should include shoulder rehab exercises to improve your strength. The function of the shoulder after injury is only going to be normal with proper strengthening. Is your shoulder rehab focusing on the right muscles and doing everything it should be to get you back to normal? Most shoulder rehab exercises focus on strengthening of the rotator cuff muscles. They are essential in normal shoulder function. Rotator cuff weakness is a major cause of shoulder injury, and can be a lingering problem after injury. The most important part of rotator cuff strengthening is getting the four muscles to work together at the same time to provide stability for the shoulder. Remember, the rotator cuff muscles work together to compress the humeral head into the socket and keep the shoulder stable. Much of the problem after injury is a lack of coordination of the cuff muscles, resulting in poor stability of the humeral head. If you are going through rehab for your shoulder, make sure that you are performing exercises that will strengthen your rotator cuff. More importantly, make sure that you are performing exercises that force the rotator cuff muscles to work together. Exercises that fit the bill include theraband exercises for internal and external rotation, cable pulls, and dumbell exercises. 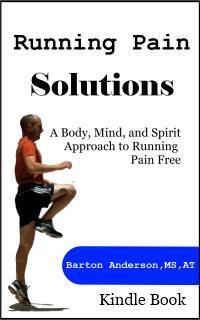 Perhaps even more important than the rotator cuff is the scapular stabilizers. These muscles help to control the scapula, or shoulder blade, and to give the humerus a stable base to move on. Shoulder rehab exercises to strengthen the scapular stabilizers are very important, and sometimes are overshadowed by strengthening of the rotator cuff. The scapular stabilizers, especially the lower trapezius and the rhomboids are somewhat lazy muscles. The upper trapezius often takes over for these muscles, and an imbalance occurs. If you don't have a stable scapula, you cannot effectively strengthen the shoulder. One of my favorite scapular stabilizer exercises, and one you can do at home is the scapular wall slide. 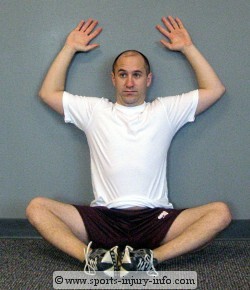 To perform this exercise, start by sitting against a wall. Place the bottoms of your feet together, and pull them as close as you can to your body. Get as close to the wall as you can so your lower back is touching the wall. Lean back so that your shoulder blades and head are against the wall, and then reach your arms out to your side, keeping your elbows and hands against the wall as well. Next, slowly try to bring your hands up and over your head while keeping everything against the wall...low back, shoulder blades, head, elbows and hands. Keep raising your arms up until you feel a tightness in between your shoulder blades. 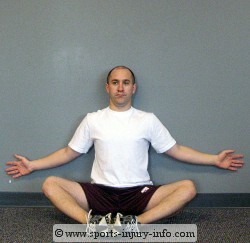 Depending on your flexibility, this may occur with your hands just above shoulder level, or higher. Once you get as high as you can without letting anything come off the wall, hold that position for 10 seconds, then relax and repeat. This shoulder rehab exercise forces your scapular stabilizers to work due to the position of your arms and back. Do 8-10 repetitions and you should feel a good muscle burn in between your shoulder blades. Other scapular stabilizer exercises include rows, shoulder extensions, lat pull downs, and push ups. All good shoulder rehab programs involve strengthening of the rotator cuff and the scapular stabilizers. If you are going through a shoulder program, make sure that you are addressing these muscles. The rotator cuff can be strengthened with rotational exercises, and the scapular stabilizers can be strengthened with the scapular wall slide, rows, and shoulder extensions.